After what has definitely been a roller coaster of a week, I thought I would mix things up today and do a quick life update to explain why I've been a bit MIA on citrus & style as well as social media. Following the chaos of the morning of the Lilly for Target shopping last Sunday, I came home thinking I was exhausted from staying up all night waiting to shop for pretty merchandise. Turns out I was actually sick with what progressed into the stomach flu. Flash forward 4 days of being can't-move-my-head-without-getting-dizzy sick in bed and I was in the hospital from severe dehydration (this is what not being able to drink lemon water for a few days does to you, *sigh*). The only thing on my mind the entire week, besides all of the homework I would have to catch up on, of course, was the fact that prom was on Saturday. At that point, I was pretty sure I was close to my death and thought there was no way on earth I would be getting out of bed, much less going to prom in two short days. All of my nurses were so kind and made sure to tell the doctor that I "for sure needed the second IV fluids bag" because I had prom to go to. I left the hospital feeling pretty sluggish, but a lot better than when I had went in that morning. After some sort of minor miracle, I chugged 3 bottles of Gatorade, got all ready for prom, and had the best night ever. The whole "fake it til you make it" mantra was in my head all night, because if I could make myself believe I wasn't sick, I knew I would have so much fun. And I did! My dress is sold out everywhere, but I did find it here on Rent the Runway! I seriously recommend it - it's super comfy and I received a ton of compliments on how bright and fun it is. Needless to say, this past week has been quite the whirlwind. I'm still not completely over the flu, so I'll be taking things pretty easy these next few days and catching up on everything I've missed. I'm going to try my best to be actively posting on social media and the blog, but no promises because I'll be getting as much sleep as humanly possible. 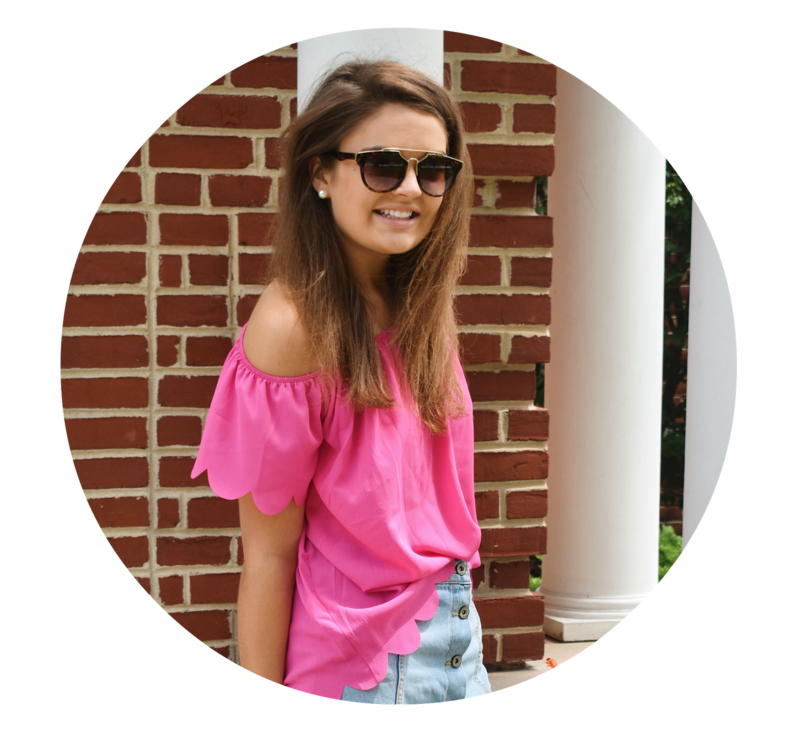 This was such a fun post to write for me because I don't want you guys to think everything is always as seamless and perfect as my posts make things look - I definitely have my fair share of things that aren't as glamorous as a new pair of shoes. Let me know if you want to see more of these "life update" posts in the future. With all the changes of senior year and college approaching, I think they will be kind of exciting to write! 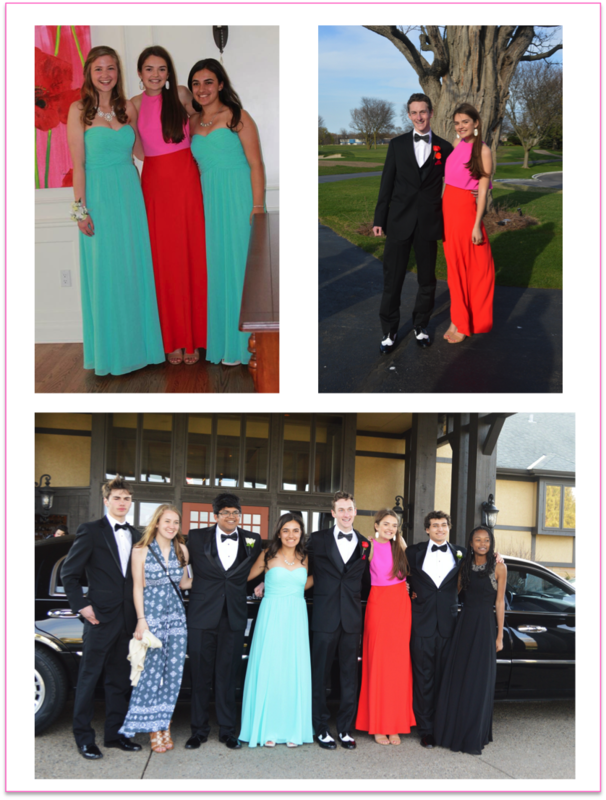 Now I want to know: what is your fondest prom memory? I finally understand why people say prom is filled with some of the best memories of high school! I haven't gone to prom yet, I still have two more years to go. But I can't wait to go! I'm glad you had fun! And sorry you're sick, I was recently sick too and it sucked. I felt like I couldn't do anything all day because of how bad I felt. Caroline, your dress is gorgeous! I'm glad you were able to make it to prom despite being so sick. Feel better soon! Hope you are feeling much better! Your dress is absolutely perfect - glad you were able to make it to your prom!